So read the tattoo sported by a man who came to hang a swing from a tall, shady tree in my yard. His was not a private tattoo, carefully placed in a spot he could conceal if he so chose. It wound around his wrist and artfully snaked up his arm, streaked with dirt and sweat on a late July day. I found myself wondering what made him choose that phrase for his permanent ink; what was it about that statement that made him want it emblazoned on his skin for all the days of his life? And then I found myself thinking how freeing those words are. While not as old as my husband and I would have liked, my house is not new. This house has lived longer than I have. It has stood in this spot for over 40 years, and bears the scars of people who lived here many years ago. The windows are old and heavy, and require more than a little elbow grease to be heaved open. The edges of the glass panes wear shaky little mountain ranges of paint, unevenly applied by someone I’ve never met. Behind the large mirror mounted on the bathroom wall, you’ll find a layer of psychedelic wallpaper that I just couldn’t bring myself to tear down. And the built-in cabinets in our den wear a once-fresh coat of paint, applied by us only a few years ago. Now, just four years after we arrived here, the paint has begun to chip away and show the dark, old wood underneath. When you open those cabinets, you can peer into ancient caverns that once held someone else’s belongings. Perhaps they once stored some child’s toys. And perhaps those toys belonged to a boy named David, who perfectly imperfectly tattooed his name on the inside of one of the doors. This little detail, this tiny personal touch, is one of my favorite things about this house. I love being reminded that people lived here before us; that families made their lives here and raised their children and ate family dinners in the very spot where we today eat ours. I love feeling the breeze come through the kitchen as my reward for the effort of heaving those large windows open. I love seeing that, no matter how many times we apply a fresh coat of paint, we are reminded that we can no more cover the past than we can erase it. And I love seeing little David’s name, scrawled in his childish hand, when I open the cupboard door to retrieve some firewood or a photo album. (Because, in my house, those things perfectly imperfectly live in the same spot.) It’s a reminder of those who came before us, and those who will someday live here after we have moved on. I like to think that, before we do, my son will tattoo his own name in a spot I’ll never find. A new child will feel the breeze in his hair as he swings from the tree in our backyard, where a little plastic swing is waiting for him. And one day, he’ll open a cupboard door and see the mark of a boy who lived here before. I hope these children — both the one who lives here now and all those to come — grow up to remember an idyllic childhood, marked by open windows and backyard tree swings. I hope they’ll look back fondly upon a house that was perfectly imperfect. I hope they’ll see themselves as perfectly something, even if that thing is imperfect. And I hope the mom who finds my son’s name someday smiles when she sees it. I hope she thinks of us, and imagines us reading in a chair or sharing a meal in the kitchen. I hope, like me, she will never try to scrub this tattoo clean or paint over it. I hope she sees just how perfectly imperfect it is. 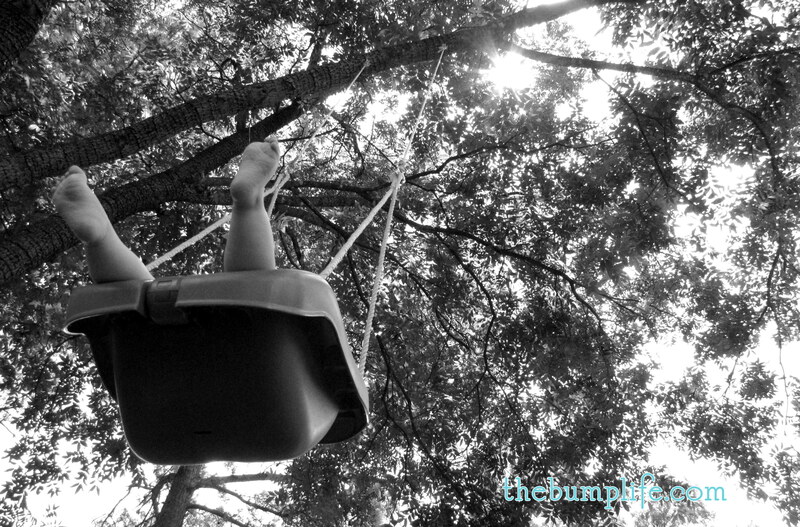 Posted in Children, Life, Parenting, Pregnancy and tagged childhood, imperfection, old house, tree swing. Bookmark the permalink. This is so good Stacey, keep up the good work…. I love this story! It reminds me of our old farmhouse we used to live in. i felt the same way about it. nicely done! Thank you! An old farmhouse sounds like my dream!